Turn on the water and a Spongellé body wash infused buffer becomes the last word in pampering. Maybe it's the rich, one-of-a-kind fragrance or the swirls of thick, creamy suds enveloping you from head to toe. Maybe it's how great Spongellé feels in the shower and how beautifully fresh, soft & healthy your skin is afterwards. The experience is so intensely pleasurable, it should come with a warning sticker. Spongellé will transform your bathing ritual into a beyond cleansing experience. Infused with the finest skincare ingredients and Beach Grass scent. 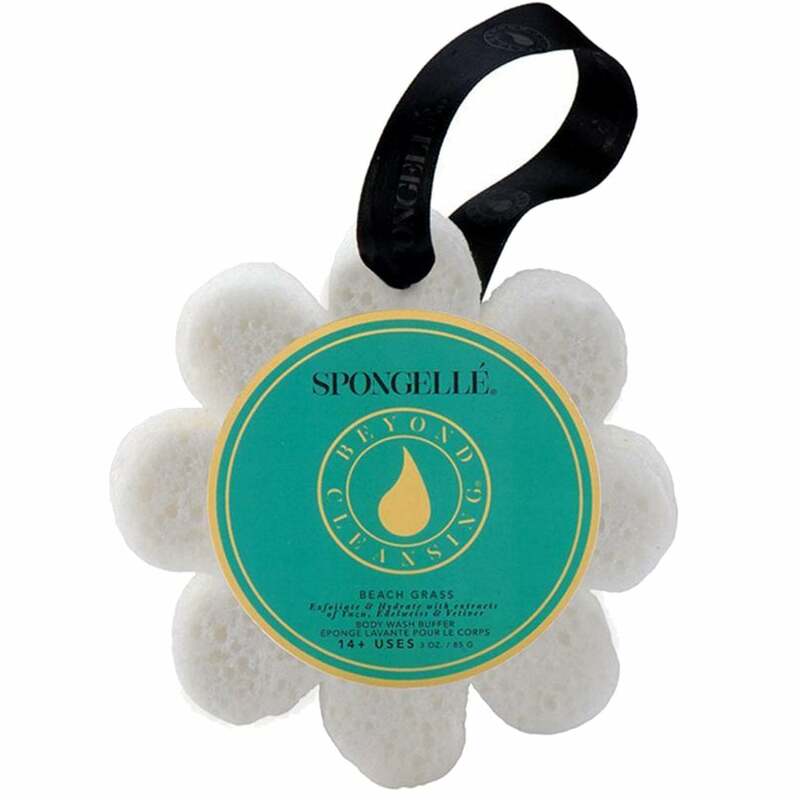 Spongellé's body buffers will transform your bathing ritual into a beyond cleansing experience. These luxurious buffers are designed to moisturise and rejuvenate your skin from neck to toe. A unique surface changes from exfoliating to as soft as silk texture. Place sponge under water, squeeze to absorb. Massage in to cleanse skin. Squeeze out excess water after each use. For the best results, massage the skin using circular motions. Beauty + Innovation + Technology.. Spongellé Infused Body Buffers are an amazing way to care for your skin. Created for those who want the finest bath & shower experience. Infused with exotic extracts, rich moisturizers and gently cleansers - Spongellé body buffers will keep your skin youthful & glowing use after use. One of a kind fragrance blends and a creamy lather make Spongellé the most luxurious bathing indulgence for your body and mind. Spongellé products will always offer the most effective technology, the finest ingredients, & essential touch of luxury.